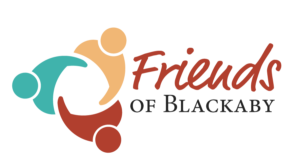 Friends of Blackaby is a group of partners who support Blackaby Ministries International monthly in our mission to help individuals, families, pastors, and churches experience God. Will you help us continue and expand our work across America and the world as we respond to the growing number of opportunities to encourage pastors, churches, marketplace and prison ministries, and many others in adjusting their lives to Christ’s purposes and plans? Set up your monthly donation by following the steps on our donation page. Simply make sure you enable the “Make this donation every . . .” box.